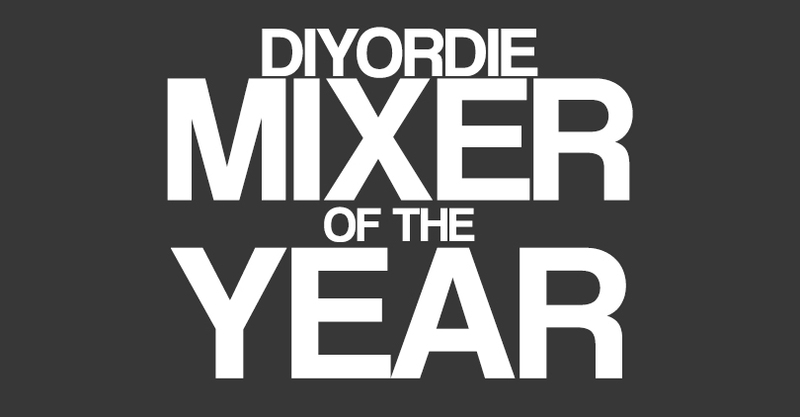 So Mixer of the Year is something that I never really thought about doing until recently. 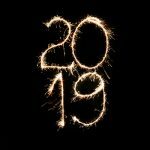 In 2016, the mixing community was ON FIRE with the immense amount of content, recipes, flavor reviews, articles, research, and more. It was quite amazing seeing all this enthusiasm for mixing and getting a front row view of it all only makes it that much more impactful. But what I've really noticed the most about the year is this "mixer" showcasing. Tons of hobbyist mixers following the footsteps of HIC, Fizzmustard, and myself, really trying to make a name for themselves in the scene. That's where I think really lies the value of the community. Having that competition, that artistic drive and determination, it all shows through the work of many of these mixers. This year was the "year of the mixer" and having a list of who I thought was the best of the year, only felt right. Before I start to list off names, I do want to talk about what I think makes the list. There are three big factors I looked at to decide on this list. One being, and most importantly, community impact. How much do you help the community, what do you give back, all that applies to community impact. Being a great mixer doesn't just mean you can produce good recipes all the time. You need to have yourself embedded within the scene while also having the drive to produce for the community. Next is Production. How much quality content have you given the scene, how many recipes have you produced, how many flavor reviews, or how much research have you done for the community? Anyone can make 1 great recipe, but can you do it again? Production is something that really allows people to take notice of your work, and quality production only comes with a strong will and strong determination. Last is recipe development. This is the most straightforward and basically means, how good are your recipes? What recipes have you released that were innovative, risk taking, exciting, creative, fun, accurate, all while being delicious? How your recipes are received and rated is another factor to take in account when talking about recipe developmental skills. And then how many of those recipes have you created? Those three things are what I based this list on. Christopher Kopel "Kopel"- An amazing mixer who's recipes are often infused with innovative and exciting floral notes. Something many people really enjoy about his recipes because he crafts them in a way that isn't too "perfumey" and more deliciously fragrant. Also a mixer who's seen success with a partnership with Chef's Flavours this year. Atom Mcree "Ckemist" - A mixer who's produced excellent recipes and also partner to Kopel with their partnership with Chef's Flavours team. What I enjoyed about Mcree was his ejuicemakers.com site, really trying to produce more content for mixers to enjoy. 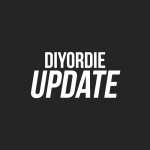 "NotCharlesManson" - Produced some amazing recipes and an excellent member of DIYorDIE. Recipes like "Pebbles" being nominated for recipe of the year. Matthew Kocanda - In terms of production, Cokecan has done extremely well. Releasing tons of recipes as well as being an integral member of the widely succesful BeginnerBlending podcast, all while also releasing phenomenal recipes like "Baby Food" & "Drunken Pears"
"ConcreteRiver" - One of the mixers who's produced an invaluable amount of flavoring notes for the community, while also a great source of help in the community. Excellent work being done. John "Goldfish" Goldsboro- Winner of the first annual DIYorDIE World Mixers Championship, Goldfish was able to really show his skills as a mixer with some tough restrictions. Every recipe he released during that competition was great, which impressed me even more. Currently holding the "Heavyweight Mixing Champ" belt. When I first created this list, I only had one person in this spot. After much deliberation, and being constricted to only 5 spots, I knew I couldn't leave it like that. So I had to put all three of these mixers in the same spot. All three of these mixers are moderators of the /r/DIY_Ejuice subreddit (with Skiddlz just leaving his position). Now while they all shared that same position, it's not the reason WHY they are all on the list. They are all on the list because they are all amazing mixers, who created amazing and informative content in their own rights, and each created excellent and delicious recipes. Starting with Skiddlzninja, he had an amazing year. In terms of production and content, co-hosting the podcast with me every week, helping in research and articles, writing flavor notes, and helping the community in any way he could, it's safe to say he produced a lot. Then you look at his recipes and he again had a phenomenal year. His "Serially Easy" line being one that has seen immense success for its easy to mix recipes, and then his critcally acclaimed "God Milk", Colton did pretty damn well for himself this year. Moving on to Wh1skeyk1ng and you can see the immense amount of flavor notes he puts out. Every day he's on the subreddit helping someone out, or spelling out some insanely helpful flavor analyses' for the community. Not too mention the delicious amount of recipes he's released, such as my favorite "Jelly Donughnut" and his weird but intriguing "Grape Ice Cream Cone". Then lastly, we have ID10-T who's been deeply engrained within the mixing community helping out everywhere he can, again releasing some amazing recipes like his "Apple Buttah Doodle Cookie" and the wildly delicious "Frosted Lemonade". ID10-T really impressed me with the amount of great but innovative recipes he's released. One thing I do want to note is that all three did play a huge part in helping the subreddit crawl out of its "rut". 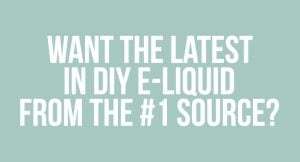 The DIY_EJuice subreddit was in dire times, in somewhat of an identity crisis. The work that these three produced to help the sub find the balance between "social" and "info depository" is something that needs to be credited, and is absolutely important work. If this was a top 7, maybe I'd rank these three separately, but the list didn't feel right only having one of the three on here when each played a huge role in the community, each produced amazing content, and each producing their own amazing recipes. Jennifer Jarvis really impressed me this year. She easily takes the #4 spot for her production and community impact. Starting with production, Jennifer has released tons of recipes this year all while creating awesome content and reading material for mixers. She's the creator of the popular ebook "DIY Eliquid Mixology", as well as "diyeliquidmixology.com", and the newly created "vapersuniversity.com". All of which are packed with excellent mixing tips, recipes, flavor notes and flavor reviews, and soon to be videos and podcasts. 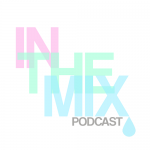 She is no stranger to the community either as she is always helping out mixers with her deep understanding of mixing really giving all the knowledge she can out there for people to educate themselves on. She takes the #4 spot because of her recipe developmental skills, her community outreach and approachable nature, and her strong desire to create content for mixers. I can't wait to see what Jennifer creates for 2017! Darren Cole was a mixer who has really sprung up in the last few months of 2016. 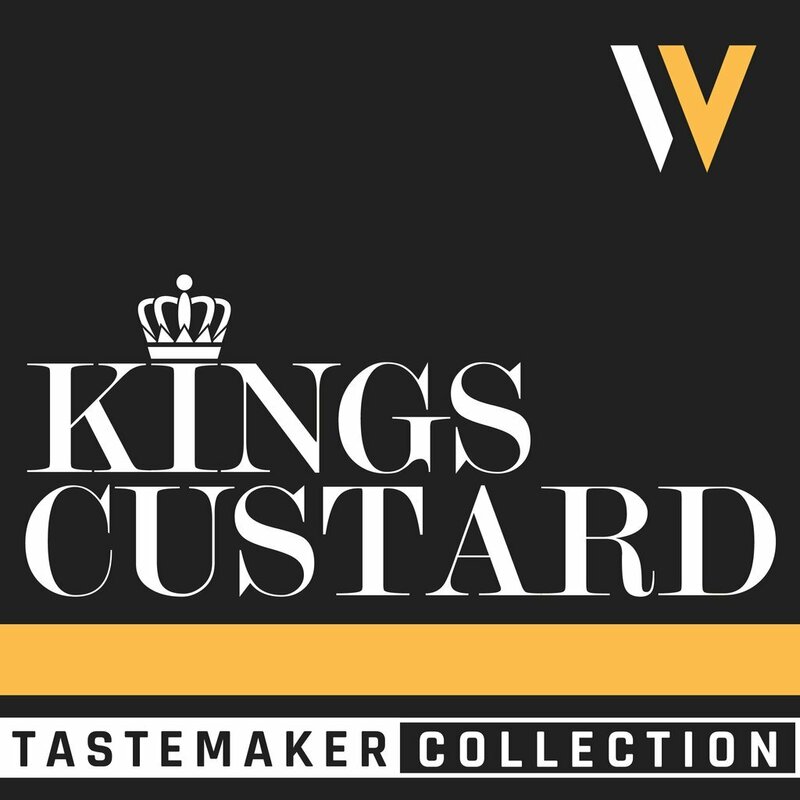 Darren, a mixer out of the UK, takes the number #3 spot for his excellent flavor reviews and flavor analyses, and also creating some of 2016's best recipes. One thing I admire from Darren is his infectious nature to mixing, really just having fun in it all and enjoy the community for what it is. 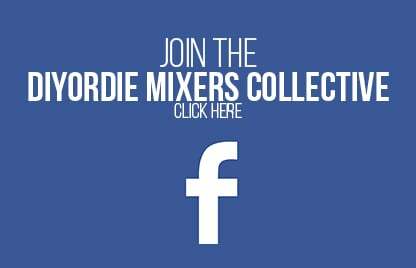 One thing many advanced mixers lose track of. But with Darren that fun nature comes out in his recipes. With his absolutely amazing "Timebomb" recipe, you get this innovative Peach Cream Soda recipe that is so fun to vape. Definitely one of my favorites from him. Another recipe he deserves credit on is his "Circus Cookie Remix" which is a remix of the original Circus Cookie vape. A strawberry iced sugar cookie, super accurate and delicious. But in my opinion his best work being his "Lemon Tart". It's a spot on Lemon Tart cookie recipe inspired by Dinner Lady's eliquid of the same name. It's a phenomenal recipe that's layered beautifully, intricate in the right areas, and very easy to vape all day on. Definitely in the running for recipe of the year. And not to mention, he's crafted these recipes all while giving back to the community with his "Sunday Flavor Notes" and help with questions and concerns. He is a mixer I'm proud to have come on board with DIYorDIE, and a mixer I'm sure is only going to produce better work in the future, while reminding us all how fun it all is. Chris Devore was easily this years most popular, and productive mixer. There's not much to really say about Chris other than he killed 2016 with the amount of work he put out. Releasing one of the most popular recipes this year, his "Sugar Cookies and Cream". It's a delicious recipe that accurately depicts what the name entails. Another recipe of the year contender with hundreds of mixers mixing it up and dozens of 5 star ratings. Chris also released one of my favorites which is his "Cranberry Vanilla Cheesecake", a recipe that was supposed to be submitted to the competition but failed because of time restraints. It's a magnificent vanilla cheesecake flavor that really rivals the best on the market, infused with a perfectly layered cranberry (a flavor that is difficult in itself). But those are just two of the many recipes he's released in which most are wildly tasty. He uses a very "traditional" style of mixing that plays to his advantage, as it allows himself to really layer his recipes in an effective way. Now take all those recipes and add the fact that he's pretty much the pioneer of the short and easily consumed flavor notes that have dominated the subreddit this past year. Him starting this popular trend has proved nothing but usefulness to the entire community, and for all those reasons he takes the number 2 spot. Vurve, in my opinion, was the most impactful, dedicated, and successful mixer of this year, by a long shot. The amount of quality work that Josh put out this year is astonishing. Starting with his recipes, Josh released a few of the years most popular recipes. His "Best Damn Pink Lemonade" is a deliciously accurate recipe that has made its way into many mixers' ADV's. Then you move on to his "Vanilla Almond Milk" which is this exquisite recipe that's both creamy and nutty. Then you move on to his famous "Watermelon Crack Remix", a BX Vapor Remix that's sweet, refreshing, and fun, and that launched him into the stratosphere in the mixing world. And those are just three of the 22 recipes he's released this year, all to high praise from those who've mixed them. In terms of recipes, it's easy to see Josh was the most successful this year. Then you move on to the impact he's had on the mixing community, and again he takes the cake. 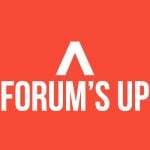 With his Modest Monday posts, detailing new topics every week for beginners put on the /r/DIY_Ejuice subreddit, he was able to fill a much needed void that was the beginner mixers sector of the sub. This sparked conversation within the posts that answered questions for so many beginning mixers, allowing them to jump into the scene with ease. This also helped revitalize the subreddit itself, bringing vibrancy to an otherwise stagnant forum. Then while doing this he decided to take on another project which is his "Beginner Blending Podcast" which basically takes the Modest Monday posts but puts them in a fun and entertaining podcast format. This podcast exploded in popularity and again, allowed so many new mixers to feel as if they were "wanted" within the community. All of this and he is still a figure in the community who will answer any ones questions or concerns if they asked him. Vurve was my number one pick, easily, for all the reasons above, and I can't wait to see what else he comes up with in 2017.